It is amazing how we get animated with factional fights and ignore relationships that are generally corrupt and affect us as a people. The biggest threat to the state and its survival is the continued abuse of state parastatals by government ministers who appoint their friends as board members to these state-owned companies. I was looking at the parastatal boards appointed by Supa Mandiwanzira, it reads like a fictional novel. I will look at just the network linkages and not what they have done to these companies. The chairman that Mandiwanzira appointed at Net One, Peter Chingoka was at Zimbabwe Cricket (ZC) when Supa Mandiwanzira was involved in a murky Outside Broadcast Van deal with ZC. Under Chingoka's leadership at ZC, Supa Mandiwanzira got exclusive broadcast rights to cricket matches through his Mighty Movies production house. Chingoka is also a board member of MetBank. 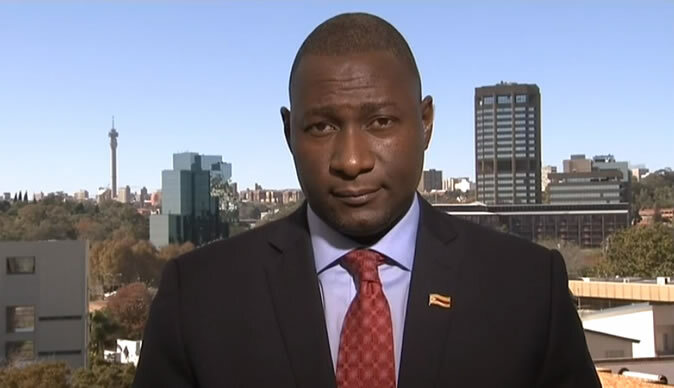 The Chairman that Supa Mandiwanzira appointed at the Postal and Telecommunications Regulatory Authority of Zimbabwe (POTRAZ), Ozias Bvute, was the Zimbabwe Cricket CEO during the OB Van scandal era, he was also CEO of MetBank after leaving ZC and is still a board member at MetBank. Another board member that Mandiwanzira appointed at Telecel, Selby Hwacha was a board member at MetBank. Sibusisiwe Ndlovu was appointed Chief Financial Officer at NetOne. Before that she was a director at MetBank. MetBank owed parastatals such as POSB $2m and Communications and Allied Industries Pension Fund (CAIPF) was owed US$1.6million when the Metropolitan bank CEO Ozias Bvute was appointed POTRAZ chairman by Mandiwanzira. It also owes Telecel US$6million. Telecel couldn't withdraw its money from MetBank and one wonders why this glaring conflict of interest has been allowed to go on unchecked or reversed by the authorities. As MetBank former CEO, Ozias Bvute was appointed POTRAZ chairman, with those powers he reinstated a POTRAZ director, Alfred Marisa, who had been fired from POTRAZ for banking more money with Metropolitan bank than what the POTRAZ board had resolved as the limit. At the time of Bvute's appointment as POTRAZ Chairman, MetBank owed POTRAZ US$6,5 million. The chairman of MetBank, Wilson Manase was at Zimbabwe Cricket with Chingoka and Bvute. Supa Mandiwanzira has also appointed Manase's son Tinashe Tanyanyiwa to the POTRAZ board. MetBank also owed Net One US$700000 that was later reduced to US$300000. They also owed Zimpost another entity under Mandiwanzira's Information and Communication Technologies (ICT) ministry. These funds that are being played with belong to the taxpayer who can't get access to a decent working hospital, clean running water, good roads, medicines in hospitals, books in schools, the list goes on. Women are dying whilst giving births and we also have medieval diseases like cholera killing our people and yet such corruption lives with us and is allowed to carry on. We as a people are to blame, we focus our minds on inane and irrelevant stories day in and day out, stories which are essentially sideshows. I don't have to prove anything more than the network linkages, looking at Supa Mandiwanzira's board appointments is enough to show you what is going on. Three of these directors have one undisputable thing in common. They destroyed Zimbabwe Cricket and they are all linked to MetBank that is owned by Enoch Kamushunda who is Ozias Bvute's Uncle. Zimbabwe Cricket funds from the International Cricket Council were stopped from going into MetBank and moved to Ecobank, after the International Cricket Council was blocked from doing a forensic audit of MetBank. Whilst he was with Zimbabwe Cricket, Ozias Bvute together with Wilson Manase and Peter Chingoka were accused of investing US$6 million into Metbank. The money came from the International Cricket Council to the ZC, this allegedly happened when they were MetBank board members. This money, according to reports at the time was invested in a non-interest bearing account at Metbank. Zimbabwe Cricket players were not paid on time and at times they went for months without their salaries being paid despite the International Cricket Council having paid ZC. ZC was broke when they left, today the Zimbabwe Cricket organization owes US$20 million to local banks. A recently fired NSSA executive was using Metropolitan Bank to siphon money from the parastatal. Over $5Million in kickbacks according to the documents that I have. Supa Mandiwanzira as the minister with an oversight role over these government entities actually sees nothing wrong with using these parastatals to raise money for his election campaigns. He used POTRAZ to buy him a car to the tune of $195,000 without Cabinet approval. There is a reason why they appoint their friends to these parastatal boards. Government must find an open and transparent way of appointing paraststal board members. These people must not only be vetted by state security but they must be subjected to public interviews and their qualifications declared. If this were to happen, almost all of Mandiwanzira's appointments that include friends who are not necessarily linked to MetBank therefore not in this article would not pass the basic governance test. If ministers like Mandiwanzira remain in government, then we should forget about any meaningful turn arounds for the economy. If their cronies remain in these parastatal boards, then we should also forget about any meaningful economic growth. Mandiwanzira and his ilk have made enough money out of being in government and if they were patriotic, they would allow this country that is groaning with the weight of corruption to be revived by resigning and focusing on the businesses that they have built on the back of political patronage. A good dancer knows when to leave the stage. This is food for thought for the president! It is either he cleans up the system or we remain under Mugabeism without Mugabe. Failure to remove these toxic elements from government will force ZANUPF to be associated with the bad and the ugly and to use coercion where it is not necessary. They have been given a chance to revive themselves as a party with the demise of veteran dictator Robert Mugabe, they must use it wisely or else we are back to the future. **Selby Hwacha who was appointed to the Telecel board by Supa Mandiwanzira and had also been a MetBank board member before the Telecel appointment is in no way being insinuated to be corrupt.